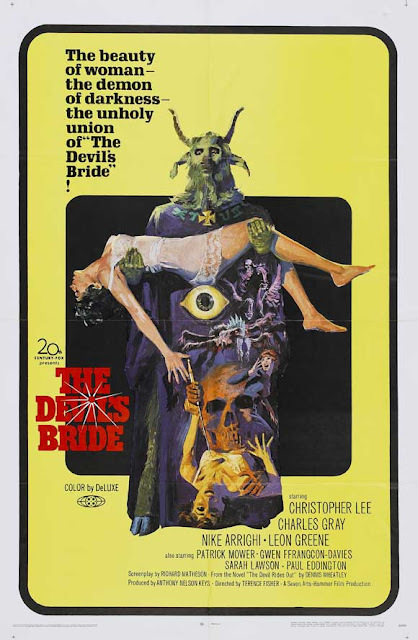 The Devil Rides Out (given this less grandeur title The Devil's Bride in the USA) is unknown by many and considered second tier in the Hammer Films filmography by others. The cult-based plot handles demonic rituals in a grand manner, and Christopher Lee - who is of course known for playing on evil's team - knocks it out of the park as the righteous and upstanding occult expert who aims to stop these servants of Satan. It is definitely a curio from another time - Lee has talked about wishing he could remake the film with modern special effects - but it still works if you can suspend disbelief and just enjoy the Satanic melodrama. There are plenty of high spots throughout Terence Fisher's film, and the script (by none less than the great Richard Matheson) seems to relish any opportunity to crank up the music and get all operatic. The tension probably hits its highest peak when Lee and his acquaintances hold a seance that leads to lots of wind, a back-to-back staredown with evil and a whole heaping load of awesome. Jacques Tourneur's Night of the Demon is probably the most loved cousin to this film, and it's a pretty wonderful choice to double feature with this one. A recent find that I would also place alongside The Devil Rides Out is the also (co-)written by Matheson occult thriller Burn, Witch, Burn. Like Devil, this one pitches its ideas as fact and never takes the foot off the gas. 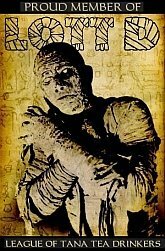 For good old fashioned occult horror, you can't do better than these three films. From Midnight, With Love was just over a year old at the time, but in my mind, the day that I named The Devil Rides Out as the first Midnight Movie of the Week was the day this little blog of mine became a passion project. The Devil Rides Out is exactly the kind of genre movie I want to find as a lover of film, and it's exactly the kind of movie I hope to inspire you to find by writing this useless drivel in my free time. In a way, The Devil Rides Out is why I do what I do for the genre films that I love.